Dr. Genevieve Abi-Nahed or “Dr. Abi” for short, and often “ Dr Happy” as patients have renamed her, simply adores her profession and loves bringing a smile to everyone she interacts with. She is known to be a happy, cheerful person with a genuine care for her patients since 2001. Dr. Abi-Nahed has successfully treated thousands of patients. She offers customized unique treatments for each of her patients. Dr. Abi-Nahed is also an educator and believes strongly in helping others understand the process and options to obtain the best treatment plan, and ultimately the best treatment outcome possible. 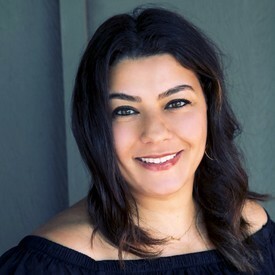 Dr. Abi-Nahed is a “super specialist” and has distinguished herself in her career by becoming certified specialist in both Periodontics and Orthodontics. She is a Diplomate of the American Board of Periodontology and Board Eligible for the American Board of Orthodontics. Dr. Abi-Nahed obtained her certificate in Orthodontics from the prestigious Eastman Institute for Oral Health in Rochester, New York and received her Master of Science in Periodontics from the University of Toronto, Ontario, Canada. Dr Abi is fluent in English, French, Spanish and Arabic and is always looking forward to learning even more languages in order to best communicate with her patients and colleagues. She practices all scopes of Orthodontics and Dentofacial Orthopedics and Periodontics in San Diego, California. Dr. Yamil Reeves, our dentist for teenagers and beyond, is a father of 2 beautiful girls and is married to his lovely wife Dr. Genevieve Abi-nahed, an orthodontist and a peridontist. He loves sports, dancing and singing. Now don’t be surprised if you catch him singing during your dental visit. 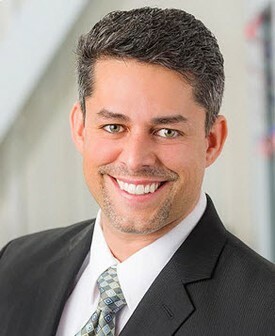 Dr. Reeves graduated from University of Puerto Rico in 2014. Prior to becoming a dentist, he gained vast experience in the dental field as a dental hygienist in General Dentistry as well as Periodontics and Prosthodontics. He was also part of the Colgate Oral Pharmaceutical company as a Dental clinician for preventive and oral cancer pathologies as well as a Colgate dental products representative in dental conventions. Dr Reeves and his family have recently moved to San Diego and joined our community to promote oral health and help with what he considers his passion, dentistry for teenagers.